Ever Wonder How The Toothbrush Started In Dentistry? People have been using implements to clean their teeth since the dawn of civilization, according to a page about the history of the toothbrush by the Colgate Company. Both the Babylonians and the Egyptians made a form of tooth brush by fraying the ends of twigs. Egyptians seem to have also used toothpicks and the Chinese chewed a tree based gum that cleaned teeth and sweetened breath. The first tooth brush that had bristles were developed in China around the 15th Century, using the hair from pigs’ necks attached to a handle made of bone or bamboo. The technology was gradually introduced to Europe where horses’ hair and sometimes even feathers were used. The first modern looking toothbrush was developed by a man named William Addis in England around 1780. The Addis toothbrush still had the pigs’ hair attached to a handle carved from a cow bone. The familiar three rows of bristles came into being in 1844. Natural bristles were used until the invention of nylon in 1938. Since nylon bristles were softer and thus more popular they became the standard feature for tooth brushes by the 1950s. Electric toothbrushes, first made in 1939, were introduced to the American market in 1960. Modern toothbrushes are made with plastic handles and nylon bristles. 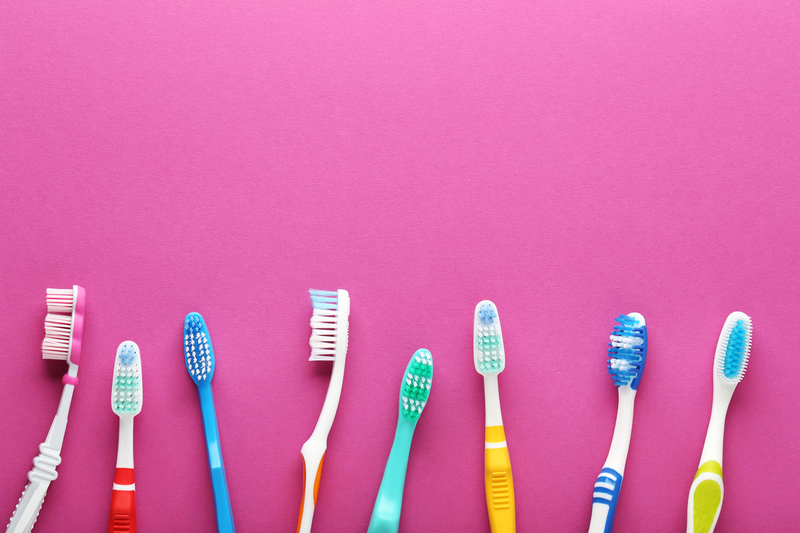 Modern ergonomic design has allowed the production of toothbrushes in a variety of shapes and sizes with a view of making the grip and use easier. Thus has the art of teeth brushing advanced during the past five thousand years of human history. At our Gettysburg family dentist office we don't use hair from pigs or horses but we do provide cutting edge cosmetic, restorative and implant treatment to make great smiles!